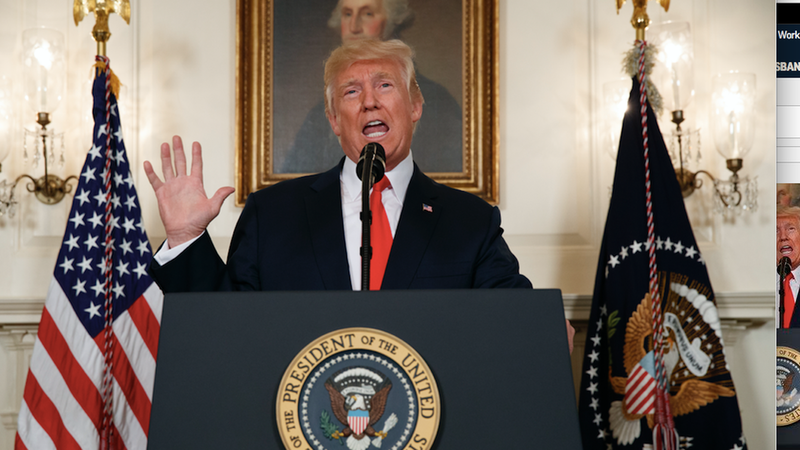 President Trump's botched Charlottesville response was the low point of his presidency for some of his key aides. Now, he has a chance for a reset, at the same time that he's reveling in the adulation for his surprise deal with Democrats. Trump meets one-on-one Wednesday with Sen. Tim Scott of South Carolina, the only Republican senator who is African-American, who told Vice after Charlottesville that the president's "moral authority is compromised." Why it matters: Scott grew up poor in the South, as the son of a single mom who toiled as a nursing assistant. He has been harshly critical of Trump on racial issues, and plans to expose the president to his own moving life story in forceful terms. Scott, who endorsed Marco Rubio during the primaries, blasted Trump for his reticence in denouncing the KKK. Scott lambasted Trump as late as mid-October for "oftentimes toxic" rhetoric. But he said he would vote for him anyway, because Hillary Clinton had also said "vicious" things. Scott pilloried Trump on "Face the Nation" after the Charlottesville violence, saying the president needs to "sit down and become better acquainted — have a personal connection to the painful history of racism and bigotry of this country." Scott was repulsed by Trump's blame of "both sides" for racial carnage, and for suggesting there were "very fine people" among white-nationalist chanters. The senator hopes that exposing Trump to new views — and a life story vastly different from Trump's privileged upbringing — will lead to a broader White House conversation on issues affecting minority communities, including historically black colleges and universities (HBCUs), poverty, and the overall direction of the country on race. But first, Scott plans to tell the president his own story in "very personal" terms, and underscore how seriously he took what Trump said, and didn't say, after Charlottesville. Scott has a powerful testimony for Trump: The senator has spoken movingly about a conversation with his mom during high school about why a pair of Converse high tops was beyond their means. He has recalled how his family once took refuge in the home of a strong grandfather — and how he later drove that teary-eyed man to vote for Barack Obama. "[M]y brother, who became a Command Sergeant Major in the United States Army, ... was ... pulled over by a law-enforcement officer who wanted to know if he had stolen the car he was driving because it was a Volvo." "I don't know many African-American men who don't have a very similar story to tell — no matter their profession, no matter their income, no matter their disposition in life." And he told of a shocking encounter with a Capitol Police officer who said with "a little attitude" that he didn't recognize the senator: "The pin, I know. You, I don't." Be smart: Aides say Trump is most likely to take in information if there's a personal story attached to it. The session with Scott provides exactly such an opportunity. The moment could be fleeting or consequential, depending on whether Trump realizes that, at 71, he has a lot of catching up to do.